(MoneyWatch) For people wondering how their mutual funds are forecast to perform, Morningstar has recently ranked the 10 largest mutual fund families according to their average score. The new forward-looking ranking goes beyond the investment research firm's famous star rating system, which looks at past performance. The firm rates each fund on each pillar as positive, neutral, or negative. Under this approach, funds with mostly positive ratings across the five pillars get a gold rating, while those with mostly negatives receive a negative rating. 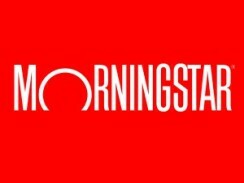 To date, Morningstar has ranked 828 mutual funds. Russel Kinnel, Morningstar's director of fund research, recently took a look at the 10 largest fund families and aggregated the firm's ratings, calculating a grade point average by assigning a score to each of the ratings. Kinnel assigned a 4.0 to gold, 3.5 to silver, 3.0 to bronze, 2.0 for neutral, and 1.0 for negative ratings. I calculated an average GPA of 2.93 for the 828 funds rated so far. These ratings would imply that Vanguard, American, PIMCO, and T. Rowe Price should perform better relative to funds in their categories than Columbia and Oppenheimer. Morningstar notes that Vanguard and T Rowe Price performed well in all categories, American performed well in equities but lagged in bonds, and PIMCO is only now building a presence in equities. One caveat -- the new system is only a tad over six months old, and Morningstar said it doesn't yet have enough data to assess its predictive ability.